The grueling and visceral BAFTA and OSCAR nominated American Western Adventure Epic the Revenant is out on DVD. IT was directed by Alejandro González Iñárritu and Mark L. Smith. It is based in part on Michael Punke’s The Revenant: A Novel of Revenge, the film is inspired by the experiences of real life frontiersman and fur trapper Hugh Glass. Set in 1823 Montana and South Dakota the film stars Leonardo DiCaprio as Glass, and co-stars Tom Hardy, Will Poulter, and Domhnall Gleeson. English-American computer scientist and engineer, Sir Timothy John Berners-Lee OM KBE FRS FREng FRSA FBCS was(born 8 June 1955), also known as TimBL.Berners-Lee was born in London, England, one of four children born to Mary Lee Woods and Conway Berners-Lee. His parents worked on the first commercially-built computer, the Ferranti Mark 1. He attended Sheen Mount Primary School, and then went on to attend south west London’s Emanuel School from 1969 to 1973, at the time a direct grant grammar school, which became an independent school in 1975. A keen trainspotter as a child, he learnt about electronics from tinkering with a model railway. He studied at The Queen’s College, Oxford from 1973 to 1976, where he received a first-class degree bachelor of arts degree in physics. “I just had to take the hypertext idea and connect it to the Transmission Control Protocol and domain name system ideas and—ta-da!—the World Wide Web.mCreating the web was really an act of desperation, because the situation without it was very difficult when I was working at CERN later. Most of the technology involved in the web, like the hypertext, like the Internet, multifont text objects, had all been designed already. I just had to put them together. It was a step of generalising, going to a higher level of abstraction, thinking about all the documentation systems out there as being possibly part of a larger imaginary documentation system.” This NeXT Computer was used by Berners-Lee at CERN and became the world’s first web server. Berners-Lee wrote his proposal in March 1989 and, in 1990, redistributed it. It then was accepted by his manager, Mike Sendall. He used similar ideas to those underlying the ENQUIRE system to create the World Wide Web, for which he designed and built the first Web browser. His software also functioned as an editor (called WorldWideWeb, running on the NeXTSTEP operating system), and the first Web server, CERN HTTPd (short for Hypertext Transfer Protocol daemon). 5In the May 1970 issue of Popular Science magazine, Arthur C. Clarke predicted that satellites would someday “bring the accumulated knowledge of the world to your fingertips” using a console that would combine the functionality of the photocopier, telephone, television and a small computer, allowing data tyransfer and video conferencing around the globe.In March 1989, Tim Berners-Lee wrote a proposal that referenced ENQUIRE, a database and software project he had built in 1980, and described a more elaborate information management system. With help from Robert Cailliau, he published a more formal proposal (on 12 November 1990) to build a “Hypertext project” called “WorldWideWeb” (one word, also “W3”) as a “web” of “hypertext documents” to be viewed by “browsers” using a client–server architecture. This proposal estimated that a read-only web would be developed within three months and that it would take six months to achieve “the creation of new links and new material by readers, [so that] authorship becomes universal” as well as “the automatic notification of a reader when new material of interest to him/her has become available.” While the read-only goal was met, accessible authorship of web content took longer to mature, with the wiki concept, blogs, Web 2.0 and RSS/Atom. On 6 August 1991, Berners-Lee posted a short summary of the World Wide Web project on the alt.hypertext newsgroup. This date also marked the debut of the Web as a publicly available service on the Internet, although new users only access it after August 23. For this reason this is considered the internaut’s day. Many newsmedia have reported that the first photo on the web was uploaded by Berners-Lee in 1992, an image of the CERN house band Les Horribles Cernettes taken by Silvano de Gennaro; Gennaro has disclaimed this story, writing that media were “totally distorting our words for the sake of cheap sensationalism.”The first server outside Europe was set up at the Stanford Linear Accelerator Center (SLAC) in Palo Alto, California, to host the SPIRES-HEP database. Accounts differ substantially as to the date of this event. The World Wide Web Consortium says December 1992,whereas SLAC itself claims 1991. This is supported by a W3C document titled A Little History of the World Wide Web.The crucial underlying concept of hypertext originated with older projects from the 1960s, such as the Hypertext Editing System (HES) at Brown University, Ted Nelson’s Project Xanadu, and Douglas Engelbart’s oN-Line System (NLS). Both Nelson and Engelbart were in turn inspired by Vannevar Bush’s microfilm-based “memex”, which was described in the 1945 essay “As We May Think”. The World Wide Web Consortium (W3C) was founded by Tim Berners-Lee after he left the European Organization for Nuclear Research (CERN) in October 1994. It was founded at theMassachusetts Institute of Technology Laboratory for Computer Science (MIT/LCS) with support from the Defense Advanced Research Projects Agency (DARPA), which had pioneered the Internet; a year later, a second site was founded at INRIA (a French national computer research lab) with support from the European Commission DG InfSo; and in 1996, a third continental site was created in Japan at Keio University. 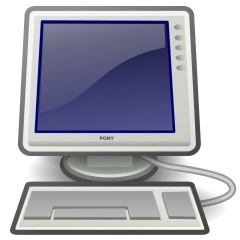 By the end of 1994, while the total number of websites was still minute compared to present standards, quite a number of notable websites were already active, many of which are the precursors or inspiration for today’s most popular services.Connected by the existing Internet, other websites were created around the world, adding international standards for domain namesand HTML. Since then, Berners-Lee has played an active role in guiding the development of web standards (such as the markup languages in which web pages are composed), and has advocated his vision of a Semantic Web. The World Wide Web enabled the spread of information over the Internet through an easy-to-use and flexible format. It thus played an important role in popularizing use of the Internet. Although the two terms are sometimes conflated in popular use, World Wide Web is not synonymous with Internet.The web is a collection of documents and both client and server software using Internet protocols such as TCP/IP and HTTP.Tim Berners-Lee was knighted in 2004 by Queen Elizabeth II for his contribution to the World Wide Web. British mathematician, logician, cryptanalyst, and computer scientist Alan Turing OBE, FRS was found dead 8 June 1954 after committing suicide. Born on June 23rd, 1912 in Maida Vale, and grew up in Hastings. He displayed great individuality from a young age. At 14 he went to Sherborne School in Dorset.Turing subsequently read mathematics at Cambridge,He was completely original thinkerwho shaped the modern world, and assisted in the development of the innovative Manchester computers. He was also highly influential in the development of computer science, providing a formalisation of the concepts of “algorithm” and “computation” with the Turing machine, which played a sinificant role in the creation of the modern computer. Turing is widely considered to be the father of computer science and artificial intelligece.He also became interested in mathematical biology and wrote a paper on the chemical basis of morphogenesis, and predicted oscillating chemical reactions such as the Belousov–Zhabotinsky reaction, which were first observed in the 1960s. The tyranny is epitomised by Big Brother, the Party leader who enjoys an intense cult of personality but who may not even exist. The Party “seeks power entirely for its own sake. 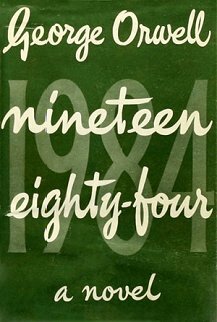 It is not interested in the good of others; it is interested solely in power.”The protagonist of the novel, Winston Smith, is a member of the Outer Party, who works for the Ministry of Truth (or Minitrue in Newspeak), which is responsible for propaganda and historical revisionism. His job is to rewrite past newspaper articles, so that the historical record always supports the party line. The instructions that the workers receive specify the corrections as fixing misquotations and never as what they really are: forgeries and falsifications. A large part of the ministry also actively destroys all documents that have been edited and do not contain the revisions; in this way, no proof exists that the government is lying. Smith is a diligent and skillful worker but secretly hates the Party and dreams of rebellion against Big Brother. Orwell based the character of the heroine of the novel, Julia, on his second wife, Sonia Orwell.